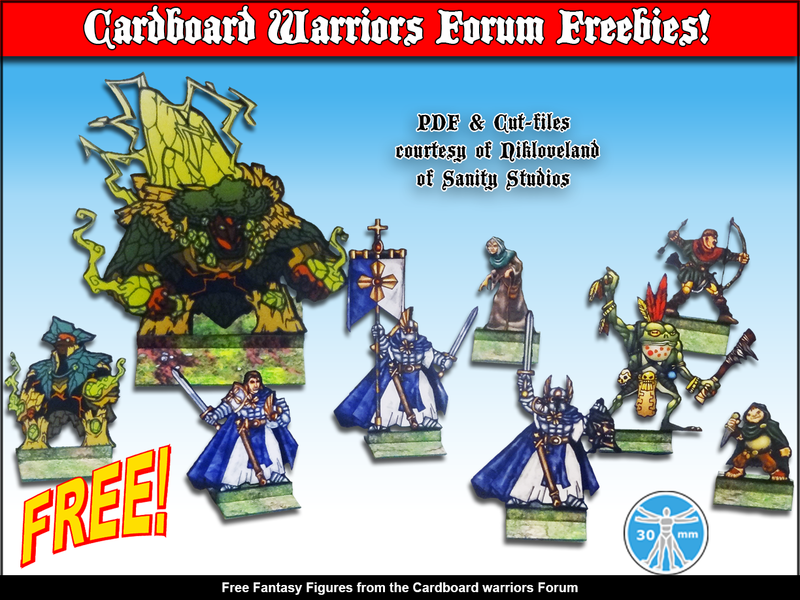 There are a great number of free one shot items like this scattered throughout the Cardboard Warriors forum. They're kind of like Easter eggs. If you want to go on an Easter egg hunt and make a compilation of some of these freebies that have been lost in the dark recesses of the forum, Please look at the format that Nik used in his layout. You don't have to make cut-files, but if you do a layout that is cut-file compatible I am sure someone will step up and complete that portion of the project. Just make it easier for them. Also, a photograph of the finished miniatures like the one above is always greatly appreciated by the original artists, that way they know someone used their work.